Stress is a culprit in almost every health problem. Chronically heightened levels of the stress hormone cortisol are the number one cause of chronic disease and accelerate premature aging. For fitness enthusiasts and athletes, high cortisol levels harm their athletic performance due to inadequate recovery and tissue regeneration. Each time we experience stress, adrenals are stimulated, cortisol levels are heightened, and we feel a short-term burst of energy, which is followed by fatigue. Often we try to stimulate the adrenals with a cup of coffee or refined sugar. We get another burst of energy, yet again followed by even deeper fatigue. The vicious cycle repeats and the signs of adrenal exhaustion show stronger. It begins with increased appetite, which turns into cravings later. You experience difficulty sleeping, followed by irritability, mental fog, and eventual lack of motivation. You gain fat, lose muscle, and start showing signs of premature aging followed by the first signs of disease. Active stress reduction and decreasing cortisol levels should be one of the main goals in your life. When you are able to maintain low stress levels, you won’t need the adrenal stimulation and you will avoid the perpetual rollercoaster of highs and lows, energy and fatigue. On the contrary, you will have endless abundant energy. Self-stimulating your adrenals with coffee, energy drinks, or drugs to increase your energy to handle stress is not a good way to handle your stress. Your body will always adapt to the stimulants and you will need to increase the doses to get the same effect. Who knows how this could finish? One of the better outcomes is the chronically exhausted adrenals and disease, but it can get much worse. Don’t take the chance. An easy technique that you can practice anywhere and anytime during the day is deep breathing, similar to one that is performed in yoga: deep, slow, diaphragmatic. Deep breathing triggers signals to your nervous system to lower blood pressure, slow heart rate, and decrease cortisol. When you find yourself stressed out, take 10 deep breaths, and feel how your entire body and mind relaxes. Regular physical activity simulates the “fight and flight” response without hurting anybody, and burns up the excess of cortisol. Any form of exercises that you enjoy will work: walking, aerobics, strength training, tennis, yoga, dance… physical movement for 20–30 minutes will decrease the cortisol levels substantially. Be aware that if you are a high performance athlete, high intensity exercise for prolonged periods may increase cortisol levels, because of excess physical stress on your body. You need to find the right balance between too much and not enough training, and also implement other stress reduction techniques. The stress hormone cortisol is positively affected by sleep. It follows the circadian rhythm: cortisol levels are high during the day and low while you sleep. 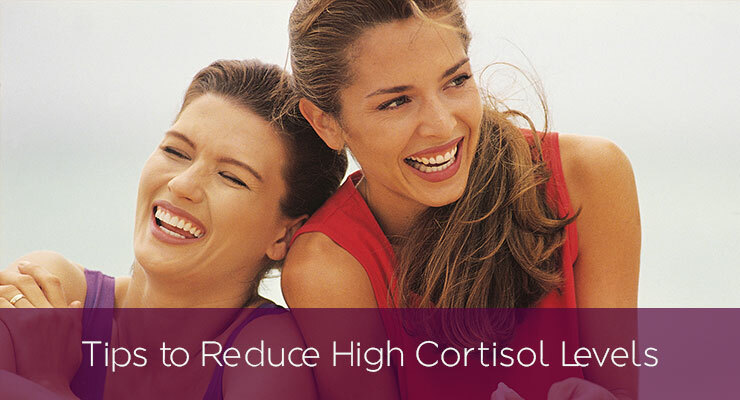 If you have problems with your sleep, your cortisol levels rise. To get a good night sleep, practice visualization or meditation techniques described below. Sleep in a quiet, cool, dark environment with no distractions. Go to bed and get up at the same time every day. Do not use any electronics in your bed and do not watch stressful or action filled TV programs before sleep. Read a relaxing book or listen to peaceful music, take a hot bath, or enjoy pleasant moments with your loved ones. EFT, also known as Emotional Freedom Technique, is a noninvasive technique where you physically stimulate (tap) specific points on your body’s meridian channels, while recalling certain emotional and stressful memories and upsets. Many studies and review articles have documented twice as much stress and cortisol reduction compared to other techniques such as rest or talk therapy. EFT is easy to learn and you can do it only for a few minutes daily with great results. More research studies and information about how to do EFT can be found on eftuniverse.com. 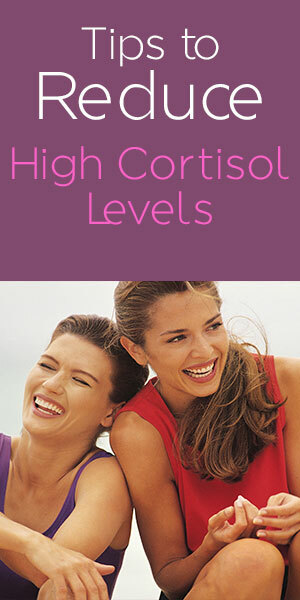 The function of cortisol in the body is to provide energy to overcome all the stresses and challenges of the day, and it happens through raising blood sugar, mobilizing fat stores, breaking down muscle proteins for energy, reducing inflammation and suppressing the immune system. All the unhealthy, sugary, fatty, and processed foods that increase blood sugar and inflammation also stimulate production of cortisol. The best foods to reduce inflammation and cortisol are plant-based whole foods. Eat large amounts of vegetables and fruits, preferably raw. Add some legumes and grains that are sprouted rather than cooked, and tiny amounts of nuts and seeds. Plant-based whole foods are shown to prevent many chronic diseases and improve your energy and well-being. Meditation is something that everybody should master. Many people feel like they don’t have time to meditate, but these are the people who need it the most. A few minutes a day is a good start. Don’t feel pressured that you have to do twenty minutes or more. Maybe you will one day, but for now, every minute counts. Do not hesitate to meditate just because you don’t know how and think it has to be something fancy. Meditation is one of the most powerful things you can do. It also is one of the simplest things, because you can do it anytime and anywhere. Paradoxically, it also is one of the hardest things to do, because until you learn how to do it, you will feel discomfort with your own thoughts and you will want to quit. You will feel benefits of meditation immediately. The instant results show as relieved stress and feeling relaxed; the long-term benefits are improved focus, improved patience, stronger willpower, lowered stress levels, feeling more present and aware in your daily activities, more focused or in the zone during your sport training, improved happiness and self-control, improved memory and academic achievement. Research suggests that improved metabolism, heart rate, respiration, and blood pressure are among the many benefits of meditation. There are many ways to meditate. A few simple techniques are focusing on your breath, or on a mantra. Another way is focusing on being grateful for things in your life. Or you can count your steps when you run in the nature, or observe and focus on the birds or flowers when you sit in the park. Just remember that even a few minutes a day will bring great results. Visualization and guided imagery are great for reducing stress and cortisol. Just like meditation, you can practice it anywhere and anytime. It is often joined with physical relaxation techniques and it will bring you into a pleasant state of total relaxation and an imaginary, beautiful, peaceful, and relaxing world. Guided imagery distracts you from your stresses and redirects you toward pleasant things in your mind, and you will feel like the peaceful environment is real. The more you practice, the pleasant scenes become a trigger to recalling the pleasant sensations from the previous practices, and you will be able to reduce your stress much faster. Laughing, having fun, and enjoying life reduce cortisol levels according to Dr. William Fry, who has been researching the benefits of laughter for many decades. Watch funny movies, enjoy funny friends, play with happy pets, or find other ways to bring joy and laughter into your life. Human interactions and bonds with family, friends, or romantic partners, seem to relax your parasympathetic nervous system, increase oxytocin hormone and thus reduce cortisol levels, according to recent studies. Make an effort to spend as much time as you can with your loved ones, preferably face-to-face, but even phone calls or Facebook interaction will help, if you feel a genuine connection. According to your mood, listening to music that you enjoy at the moment is known to reduce your cortisol levels. Listening to great music improves your mood and reduces your stress. It can also inspire and motivate you to do great things in your life and such bring more happiness. If you would like to learn more about transitioning toward plant-based diet and how to exercise effectively without any gym memberships, feel free to visit and browse through www.TennisFitnessLove.com for many additional ideas and information. 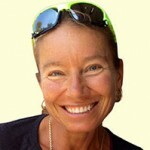 Suzanna McGee is a former Ms. Natural Olympia drug-free bodybuilding champion and currently a competitive tennis player, athletic fitness trainer and author of the new book, The Athlete's Simple Guide to a Plant-Based Lifestyle It can be found on Amazon.com. She is also a performance enhancement and injury prevention coach, with a certificate in plant-based nutrition from eCornell University. The athletes who participated in McGee’s program report a decreased rate of injuries, increased fitness levels and mental toughness, and overall better tennis performance. McGee is also certified by the National Academy of Sports Medicine (NASM) as a Performance Enhancement Specialist and Corrective Exercise Specialist.